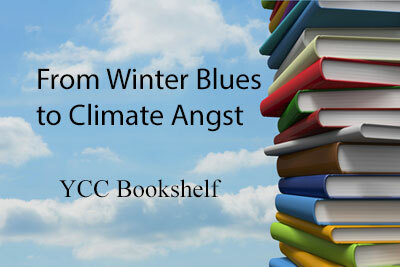 Books and reports on the psychology of climate change. It’s customary to feel mid-winter blues in February. But a string of unseasonably warm days can transform those blues into anxieties about climate change – fear of heatwaves, melting ice, extreme weather, and sea-level rise. Below, Yale Climate Connections book editor Michael Svoboda has gathered the major books and reports from a new sub-discipline in climate studies: the psychology of climate change. The books’ descriptions are drawn from the catalog copy provided by the publishers. In 2000-2001 the first snowfall came to Bygdaby, Norway, two months later than usual, ice fishing was impossible, and the ski industry had to invest substantially in artificial snow-making. Stories in local and national newspapers linked the warm winter explicitly to global warming. Yet residents did not write letters to the editor, pressure politicians, or cut down on use of fossil fuels. Why? Norgaard finds that for the highly educated and politically savvy residents of Bygdaby, global warming was both common knowledge and unimaginable. Living in Denial, her report from Bygdaby, supplemented by comparisons throughout to the United States, tells a larger story behind our paralysis in the face of today’s alarming predictions from climate scientists. Engaging with Climate Change is one of the first books to explore in depth what climate change actually means to people. It brings members of a wide range of different disciplines in the social sciences together in discussion and to introduce a psychoanalytic perspective. Topics covered include the denial of climate change, how we manage our feelings about climate change, and the need to mourn before we can engage in a positive way with the new conditions we find ourselves in. Aimed at the general reader as well as psychoanalysts, psychotherapists and climate scientists, this book will deepen our understanding of the human response to climate change. In this groundbreaking book, Renee Lertzman applies psychoanalytic theory and psychosocial research to the issue of public engagement and public apathy in response to chronic ecological threats. Based on in-depth interviews conducted in Green Bay, Wisconsin, each chapter provides a psychosocial, psychoanalytic perspective on subjectivity, affect and identity, and considers what this means for understanding behavior in relation to environmental crises and climate change. Lertzman argues for a theory of environmental melancholia that accounts for the ways in which people experience profound loss and disruption caused by environmental issues, and yet may have trouble expressing or making sense of such experiences. Exploring contributions from Freudian, Kleinian, Object Relations, Self-Psychology, Jungian, and Lacanian traditions, Dodds discusses how psychoanalysis can help to unmask the anxieties, deficits, conflicts, phantasies and defenses crucial in understanding the human dimension of the ecological crisis. Psychoanalysis and Ecology at the Edge of Chaos thus offers a fresh and insightful psychoanalytic perspective on the ecological crisis. As such this book will be of great interest to psychoanalysts, psychologists, philosophers, and ecologists, as well as all who are concerned with the global environmental challenges affecting our planet’s future. Linking climate justice to radical ethics by way of psychoanalysis, Donna Orange explores many relevant aspects of psychoanalytic expertise, referring to work on trauma, mourning, and the transformation of trouble into purpose. Orange makes practical suggestions for action in the psychoanalytic and psychotherapeutic communities: reducing air travel, consolidating organizations and conferences, better use of internet communication and education. The interweaving of climate emergency and massive social injustice presents psychoanalysts and organized psychoanalysis with a radical ethical demand and an extraordinary opportunity for leadership. 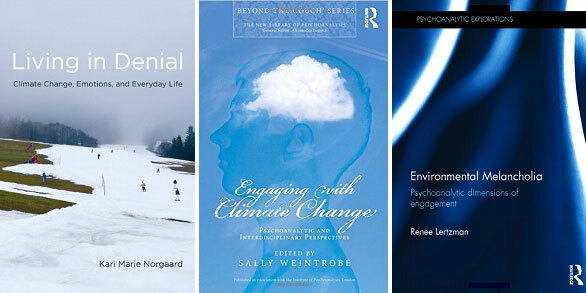 Climate Crisis, Psychoanalysis, and Radical Ethics will provide accessible and thought-provoking reading for psychoanalysts and psychotherapists, as well as philosophers, environmental studies scholars and students studying across these fields. In Emotional Resilience in the Age of Climate Change, Leslie Davenport explores the psychological underpinnings that have contributed to the current global crisis, and offers robust therapeutic interventions for dealing with anxiety, stress, depression, trauma and other clinical mental health conditions resulting from environmental damage and disaster. She emphasizes the importance of developing resilience and shows how to use the many benefits of guided imagery and mindful presence techniques, and carry out interventions that draw on expert research into ecopsychology, wisdom traditions, earth-based indigenous practices and positive psychology. The strategies in this book will cultivate transformative, person-centered ways of being, resulting in regenerative lifestyles that benefit both the individual and the planet. Are we deranged? The acclaimed Indian novelist Amitav Ghosh argues that future generations may well think so. How else to explain our imaginative failure in the face of global warming? In his first major book of nonfiction since In an Antique Land, Ghosh examines our inability to grasp the scale and violence of climate change. The extreme nature of today’s climate events, Ghosh asserts, make them peculiarly resistant to contemporary modes of thinking and imagining. Hundred-year storms and freakish tornadoes simply feel too improbable; they are automatically consigned to lesser genres. Politics, much like literature Ghosh suggests, has become a matter of personal moral reckoning rather than an arena of collective action. But to limit fiction and politics to individual moral adventure comes at a great cost. The climate crisis asks us to imagine other forms of human existence – a task to which fiction is the best suited of all cultural forms. What happens to individuals and societies when their most fundamental cultural, historical, and ecological bonds weaken – or snap? In Coming of Age at the End of Nature, insightful millennials express their anger and love, dreams and fears, and sources of resilience for living and thriving on our shifting planet. Twenty-two essays explore wide-ranging themes that are paramount to young generations but that resonate with everyone, including redefining materialism and environmental justice, assessing the risk and promise of technology, and celebrating place anywhere from a wild Atlantic island to the Arizona desert, from Baltimore to Bangkok. The contributors speak with authority on problems facing us all, whether railing against the errors of past generations, reveling in their own adaptability, or insisting on a collective responsibility to do better. Facing Climate Change explains why people refuse to accept evidence of a warming planet and shows how to move past partisanship to reach a consensus for action. A climate scientist and licensed Jungian analyst, Jeffrey T. Kiehl examines the psychological phenomena that twist our relationship to the natural world and their role in shaping the cultural beliefs that distance us further from nature. But it is not too late. Kiehl dives deep into the human brain’s psychological structures and human spirituality’s imaginative power, mining promising resources for creating a healthier connection to the environment – and one another. Facing Climate Change is as concerned with repairing our social and political fractures as it is with reestablishing our ties to the world, teaching us to push past partisanship and unite around the shared attributes that are key to our survival. The APA Task Force on the Interface Between Psychology and Global Climate Change met in 2008-09 to examine the role of psychology in understanding and addressing global climate change, including efforts to adapt to and mitigate climate change. The task force’s report reviews a wide range of research and practice relevant to climate change, including work in environmental and conservation psychology, studies of human responses to natural and technological disasters, efforts to encourage environmentally responsible behavior, and research on the psychosocial impacts of climate change. The report identifies questions that call for further research by psychologists and recommends policies to guide action by individual psychologists, APA, and other organizations. The complex arena of climate change, the report concludes, cannot be left to one sub-discipline but must draw upon the expertise of researchers and practitioners from multiple areas of psychology. The National Wildlife Federation convened a forum in March 2009 of professionals from the fields of psychology, mental health, national security, climate change science and policy to conduct an exploratory interdisciplinary assessment of the effects that global warming will have on the state of American public mental health and the practice and provision of mental services in the United States. The forum sought to add information and context to an overlooked aspect of global climate change: the psychological and public mental health implications. This downloadable document is the official final report from that forum. “Beyond Storms and Droughts: The Psychological Impacts of Climate Change” reviews the likely psychological impacts of climate change, from stress, anxiety and depression to increases in violence and aggression and loss of community identity. It discusses the pathways through which these and other impacts on human well-being will arise, why some communities will be hit harder than others, and how psychological impacts interact with physical health. The report also includes guidance to help engage the public on climate change through the lens of mental health and well-being, as well as a list of tips for preparing and strengthening communities to withstand these impacts. This report is a joint project between ecoAmerica and the American Psychological Association, and was produced in collaboration with psychologists Dr. Susan Clayton (College of Wooster) and Dr. Christie Manning (Macalester College). A new version of this report will be released later this year.